A New Cookbook & A Pastry Competition! An obsession with cookbooks, I am always hungry for more. When Quay Po Cooks extended an invitation to the launch of Think Out of the Shell Cookbook Volume II Launch, I immediately agree with excitement. A big Thank You to Quay Po for the invite! I have already owned the Think Out of the Shell Volume I, so it’s without any doubt that I must have Volume II. The cookbook is a collection of recipes with bakers from all over together in partnership with NutriPlus and published by My Nourishment Sdn. Bhd. Featuring 11 bakers and a hoard of their recipes, there is a little something of everything baked from the heart! Arriving early, I managed to check out some of the goodies on display for sampling by the enthusiast bakers. From breads, to cakes, pastries and more, everything dessert and bread is a sight to behold. 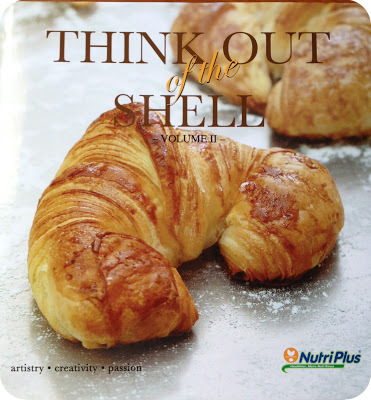 The event kicked off with a speech from NutriPlus Management and followed by the launched of the Think Out of the Shell Volume II by NutriPlus Management, Jaya Jusco and the Bakers! A Think Out of the Shell Baking Challenge organized by NutriPlus for all home cooks and bakers enthusiast! The competition takes place five days from October 26th Saturday to October 31st Wednesday a Aeon One Utama. The mission of this challenge is to provide an opportunity to home bakers to showcase and share their passion with the public. 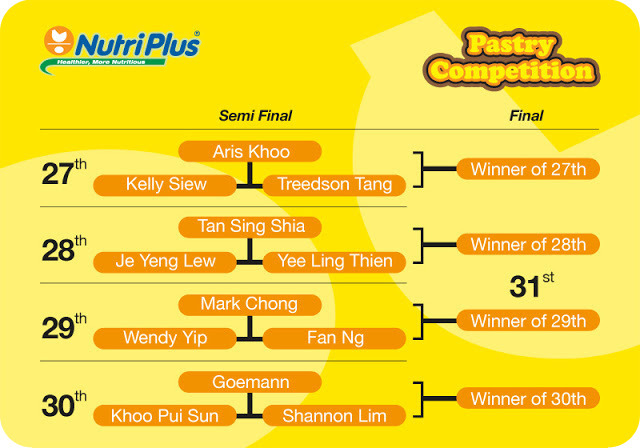 You may want to check out the live competition at Aeon One Utama concourse area at the scheduled dates to see the participants bake off among each other! A few of the participants were present and they are Yee Ling, Shannon, Treedson, Fan, Kelly and Aris. Do check out the Think Out of the Shell Facebook for other participants. Good Luck to All of Them! I caught up with two judges of the completion that day. Quay Po Cooks, aka Veronica Davis, is the author of Quay Po Cooks, who won hearts of everyone for her genuine love for her family, friends and her love of food! Her blog is a journey of joy and sharing, reflecting what the French like to call the "joie de vivre" (joy of living). Her wish is to inspire those who do not know how to cook or bake to do so. She has tested and tasted 300 over recipes of which, many were featured in the Asian Food Channel (Official) Facebook page. For more information about the cookbook, this is for sale at major bookstores, and the Pastry Competition, check out the Facebook and Website! I want! I want! I want a copy of the book too!!! Please let Quay Po know... Hehehehehehe!!!!! yes.. everything is so sweet and pastel! I tried the macaroon. Indeed was lovely and delicious! Wow, that giant size croissant is making me want coffee and pastry right now!